There are a variety of maladies that can affect brass musicians. Some are brought on by the sheer weight of these heavy instruments while others can be brought on by the repetitive and exhaustive hand, finger, and wrist movement. A University of Texas study found the prevalence of musculoskeletal injuries among players of brass instruments, including the French horn, trombone, trumpet and tuba was 61%. Among these, trombone players had the highest rate of injury. 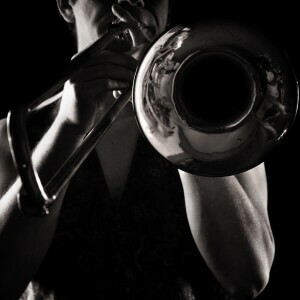 Types of injuries in brass musicians can vary depending upon the instrument played. Whether caused by the muscle strain from holding the weight of the instrument or the frequent, repetitive motion of playing the keys, each of these instruments pose their own potential threat of injury. Chronic neck and back pain is another issue that you may face as a brass instrument musician. This can be caused by poor posture while standing or sitting, straining to see the conductor during performance, or poor instrument-lifting techniques. 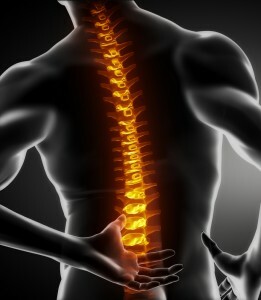 Pain can be located in all regions of the spine. Depending on the area of the spine that is afflicted, over time this pain may radiate into the shoulders, arms, legs and fingers due to nerve entrapment. Tuba players are at an especially high risk of spinal conditions due to the sheer weight of their instruments. The average tuba can weigh 25-30 pounds — and not all of the weight is centered, causing it to be awkwardly distributed. If you are one of the many who play the tuba standing for the duration of a practice or concert, then you are no stranger to the stress the weight may put on your arms and spine. While holding the instrument, many musicians either hunch forward or lean back. This excess weight coupled with the improper alignment hunching or leaning forces onto the spine may cause damage over time. Tuba players often suffer chronic pain due to a herniated disc or other spinal condition. This may manifest itself as a sharp pain in the neck or lower back. This condition may also lead to pain that radiates into the extremities. If you or someone you love is suffering from any of these conditions please contact us. At Pain Physicians NY, we are experts in treating injuries in musicians and performers. We utilize a multi-disciplinary approach to accurately diagnose and treat your pain. Our goal is simple: GET YOU BACK ON STAGE!